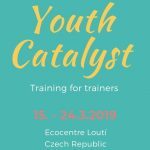 Youth Catalyst is an 8-day training for trainers, designed for those who want to become trainers or facilitators in the field of non-formal education (NFE) and experiential learning (EL) and they have already took the first steps and need support in order to move further. The main question was how to create a learning environment where young people from diverse groups feel welcome, included and safe to grow. So the training looked into, first, how to design quality tailor-made content, second, how to facilitate it in a meaningful way. Because we believe in learning by doing, the training was very practice oriented, applying the new tools, receiving feedback, reflecting and re-applying it again, all in a safe environment to experiment and grow. It addressed holistic learning, that is learning by mind, body and heart. 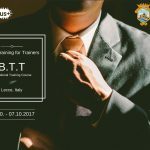 Here are some photos that you can see from the training course in Czech Republic. 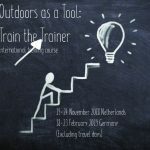 Another important outcome from this project is Toolbox for Trainers – a collection of non-formal educational activities created and written down by participants and graphically edited the host organisation. 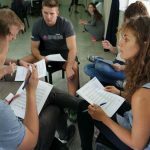 This program was co-funded by the Erasmus+ programme to support education, training, youth and sport in of the European Union.